Cierra from Growth here and surprise, surprise we've got a Memorial Day sale for you. 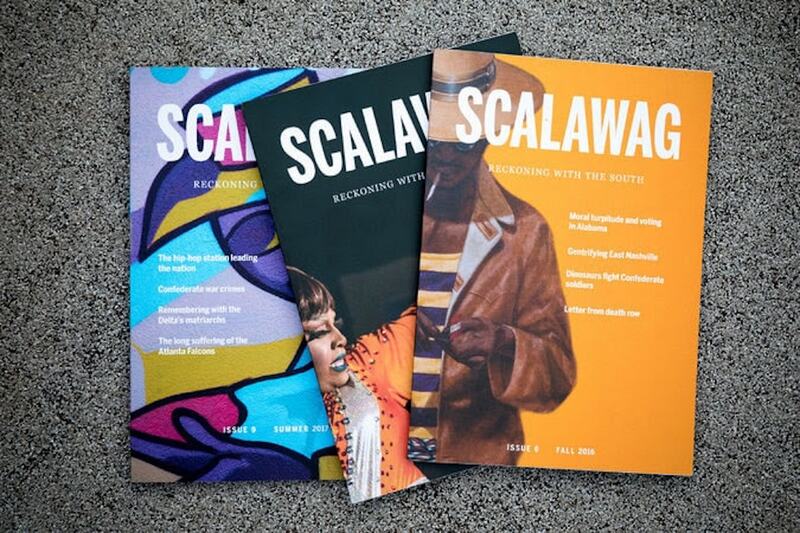 From now until Wednesday, you can get a 1-year subscription to Scalawag for $19. Now, I know you're thinking, why is a non-profit, progressive, equity-focused magazine having a Memorial Day sale? Honestly y'all, capitalism made us do it. We know the origins of the day, and we honor and celebrate the efforts of the families that fought for the recognition of their loved ones when racism would have us otherwise forget. We also have big goals (more on that soon!) and subscription sales are a crucial part of achieving them and funding our mission. So here we are, doing a Memorial Day sale. But know this, by subscribing to Scalawag today, you're not just receiving 4 high-quality print magazines with some of the richest, amazing Southern content around. You are supporting Southern writers, Southern artists, amplifying Southern voices, and strengthening Southern communities by making sure their stories are told. You are challenging the universal understanding of what it means to be from the South. Y'all, that's a whole lot of good for $19. So here's our Memorial Day Sale -- we hope you'll spend your money with us. You won't find a better deal this side of the Mississippi, trust me. Subscribe to Scalawag now for $19 a year. P.S. Down with capitalism, support non-profit journalism! Consider also making a gift to Scalawag.